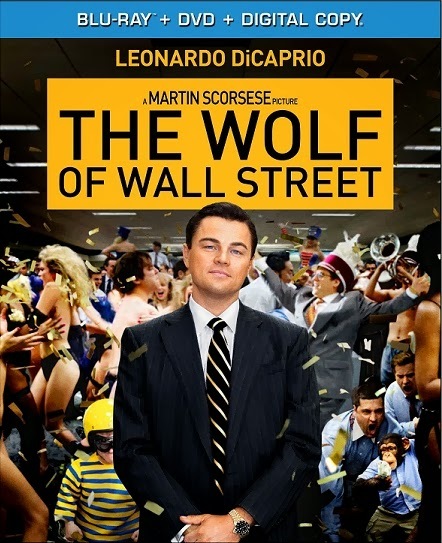 Legendary director Martin Scorsese delivers another masterpiece with The Wolf of Wall Street, debuting on Blu-ray Combo Pack, DVD and VOD March 25, 2014 from Paramount Home Media Distribution. Based on an outrageous true story of American excess, The Wolf of Wall Street features Academy Award nominated performances from Leonardo DiCaprio, Jonah Hill, Matthew McConaughey, as well as Kyle Chandler, Rob Reiner, Jean Dujardin and Margot Robbie. HOLLYWOOD, Calif. – Legendary director Martin Scorsese delivers “another cinematic landmark” (Peter Travers, Rolling Stone) in the “madly entertaining” (Todd McCarthy, The Hollywood Reporter) masterpiece THE WOLF OF WALL STREET, debuting on Blu-ray Combo Pack, DVD and VOD March 25, 2014 from Paramount Home Media Distribution. The film arrives on Digital HD March 18. 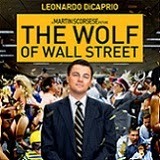 Nominated for five Academy Awards including Best Picture, Best Director (Martin Scorsese), Best Actor in a Leading Role (Leonardo DiCaprio), Best Actor in a Supporting Role (Jonah Hill) and Best Adapted Screenplay (Terence Winter), THE WOLF OF WALL STREET has appeared on over 25 Top Ten lists including the AFI, the National Board of Review, Rolling Stone, Vanity Fair, New York Times, New York Daily News and The Hollywood Reporter. Leonardo DiCaprio delivers “the best performance of his career” (Claudia Puig, USA Today) and earned a Golden Globe for his portrayal of a young stockbroker hungry for a life of non-stop thrills, where corruption is king and more is never enough. Based on an outrageous true story of American excess, THE WOLF OF WALL STREET features a “razor-sharp” (Claudia Puig, USA Today) script by Terence Winter and “wild, exhilarating performances” (Richard Brody, NewYorker.com) from Academy Award nominee Jonah Hill, Matthew McConaughey, Kyle Chandler, Rob Reiner, Jean Dujardin and Margot Robbie. The film will be available in a Blu-ray Combo Pack with Digital HD and a behind-the-scenes look at the making of the film featuring interviews with DiCaprio and Scorsese, as well as on a single-disc DVD. The Wolf Pack—Martin Scorsese, Leonardo DiCaprio, Jonah Hill and other cast and crew discuss the incredible journey of making the film. Follow them as they reveal the real story behind Jordan Belfort’s rise to power and how they depicted his world of lavish excess, perseverance and ultimately betrayal. The Blu-ray Combo Pack available for purchase includes a Digital Version of the film that can be accessed through UltraViolet, a new way to collect, access and enjoy movies. With UltraViolet, consumers can add movies to their digital collection in the cloud, and then stream or download them—reliably and securely—to a variety of devices.